For more than thirty-five years, since his first solo exhibition at the Whitechapel Gallery, Antony Gormley has sought to explore the relationship of the human body to space and to reinvigorate and test the potential of sculpture. This beautiful and definitive monograph examines the entirety of Gormley's career, from his earliest sketches to his best-known public installations. With unprecedented access not only to the archives but to the working studio and to the artist himself, Martin Caiger-Smith examines the relationship between Gormley's life and art, and identifies the singular and obsessional vision that ties together a vast canon of work in an extraordinary range of media and materials. Best known for the major public works that most visibly represent his rigorous and innovative approach to sculpture, Gormley is a prolific and intellectual artist who has renegotiated the tension between the individual and the universal. Drawing on images that range from childhood snapshots to photographs of his most recent gallery installations, this book traces the evolution of Gormley's work, from the drawings he makes every day in the studio, through the constantly evolving process of casting his own body in various forms, to the ultimate expression of his ideas in such masterpieces as the colossal Angel of the North or the scattered figures of Another Place. Illustrated with hundreds of images that explore the true scale and impact of Gormley's work - many never published before - complemented with Caiger-Smith's critical narrative, this book is a comprehensive survey of a truly monumental career. 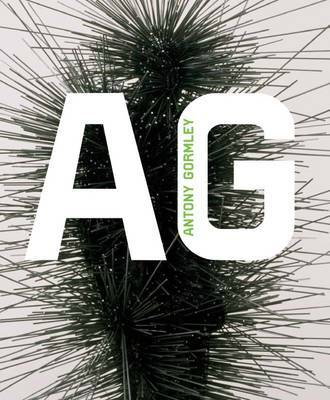 Buy Antony Gormley by Martin Caiger-Smith from Australia's Online Independent Bookstore, Boomerang Books. Antony Gormley is widely acclaimed for his sculptures, installations, and public artworks that investigate the relationship of the human body to space. He attended Saint Martin's School of Art, Goldsmiths, and the Slade School of Fine Art in London. He was awarded the Turner Prize in 1994, the South Bank Prize for Visual Art in 1999, the Bernhard Heiliger Award for Sculpture in 2007, the Obayashi Prize in 2012, and the Praemium Imperiale in 2013. He has been a Royal Academician since 2003 and a British Museum Trustee since 2007. He lives and works in London. Martin Caiger-Smith is Head of the MA Curating the Art Museum program at the Courtauld Institute in London. In his prior roles as Head of Exhibitions and Acting Director of the Hayward Gallery, he curated major exhibitions that showed internationally, including retrospectives of Francis Bacon (1998), Roy Lichtenstein (2004), and Dan Flavin (2006). He writes frequently on art, photography, and architecture, and is the author of Tate Modern Artists: Antony Gormley (2010).